As California finalizes its cap-and-trade program, it must decide whether or not to accept offsets that slow climate change by saving endangered rainforest. A blue-chip scientific panel says that it shoud — and lays out a roadmap for doing so in a way that benefits the environment, the economy, and indigenous people around the world. 19 July 2013 | After more than two years of open consultations among indigenous leaders, environmentalists, and governmental representatives, the REDD Offsets Working Group (ROW) on Thursday offered its final recommendations for incorporating international REDD offsets into California’s cap-and-trade program. The recommendations have been endorsed by a diverse array of environmental groups, green-minded corporations, and indigenous leaders from Latin America, Asia, and Africa. REDD stands for Reducing greenhouse gas Emissions from Deforestation and forest Degradation, and it works primarily by saving endangered rainforest. REDD-plus folds in additional activities such as planting trees and managing the forest. 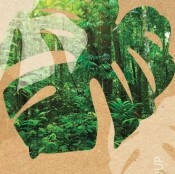 The advisory panel report, entitled “The ROW Report: Recommendations to Conserve Tropical Rainforests, Protect Local Communities and Reduce State-Wide Greenhouse Gas Emissions,” has been in the works since February 2011, when ROW was created to provide scientific advice under a Memorandum of Understanding (MoU) between the Brazilian state of Acre, the US state of California, and the Mexican state of Chiapas to collaborate on reducing greenhouse gas emissions. The governors of those three states signed the MoU in November 2010 in the wake of growing frustration with efforts to create a global climate-change regime under a UN process that required universal — and, some say, unachievable — unanimity. The idea was to build on those parts of the UN process that had delivered agreement and to move forward on those that hadn’t. The ROW Recommendations advise only the acceptance of “jurisdictional REDD+” credits, which means the credits must come from states, counties, territories, or countries that, like California, are also reducing greenhouse gas emissions within their boundaries. Furthermore, credits must be recognized in their home jurisdictions, and their emission impacts must be factored into those of the home territory, before they can be recognized in California. Although theoretically open to any states that meet those criteria, the focus for now is on Acre and Chiapas. Both states are in the process of implementing jurisdictional REDD regimes, and Acre even has a legal framework called SISA (Sistema de Incentivo a Serviços Ambientais, or System of Incentives for Environmental Services) that fosters the recognition of ecosystem values. In addition to the recommendations, the report acts as a detailed backgrounder and policy brief designed to explain REDD in general and clear up common misconceptions. The recommendations cover everything from the type of activities that should be recognized to how to measure the carbon captured in trees, how to recognized which human actions lead to which reductions, how to “nest” existing projects in emerging jurisdictional regimes, and how to keep track of credits once they are generated. In open meetings, however, it is the issue of indigenous rights that been the most contentious. In forging this section, ROW takes into account various agreements already reached through the United Nations, among NGOs, existing carbon standards, and national governments. These include the UN-REDD program’s Social and Environmental Principles and Criteria (SEPC), the REDD+ Social and Environmental Standards (SES) initiative being spearheaded by CARE International and the Climate, Community & Biodiversity Alliance (CCBA), and various practices being implemented in Brazil, Mexico, and Indonesia. ROW calls on California to ban credits that don’t conform to international principles, and to retain the right to suspend recognized credits if they are later found to be out of compliance. California should condition acceptance of REDD+ credits and any linkage arrangement on sufficient demonstration by a Partner Jurisdiction that the safeguards provisions in its REDD+ program are consistent with all the REDD+ safeguards found in Annex 1 of the UNFCCC Cancun Agreement (including the enhanced benefits approach), the guidance on safeguard information systems in UNFCCC 12/CP.17, and future safeguards developments under the UNFCCC, and emerging best practice standards such as the REDD+ Social & Environmental Standards (SES). California should set a best-practice global standard by adopting REDD+ safeguard standards that specify how Partner Jurisdictions will satisfy and operationalize these safeguard requirements, including incorporating a monitoring and reporting mechanism to transparently provide information, updated on a regular basis, to all relevant stakeholders. These reporting mechanisms will be stipulated in individual linkage arrangements. Individual Partner Jurisdictions should define their own benchmarks and performance indicators for implementing robust social and environmental safeguards following the guidelines on the country-level interpretation and application of the REDD+ SES. Partner Jurisdictions should recognize and respect the rights of indigenous peoples and local communities in their REDD+ programs, including application of the principle of free, prior, and informed consent based on the culturally-appropriate decision making process of affected communities, as elaborated under global best practice safeguards standards such as REDD+ SES. Partner Jurisdictions should develop (and effectively communicate to relevant stakeholders) adequate grievance mechanisms, in accordance with the REDD+ SES guidance, and make available information about these mechanisms, including their procedures, oversight and accessibility. In addition, Partner Jurisdictions should report on grievances received, and how they have been responded to and resolved, including any redress/remedy. Partner Jurisdictions should monitor performance against their defined safeguards benchmarks and performance indicators, in accordance with the REDD+ SES guidelines, and submit independently verified reports prior to each issuance of credits demonstrating how their REDD+ program safeguards have been addressed and respected, and how grievances have been resolved in a timely manner following the Partner Jurisdiction’s defined procedures. Linkage arrangements should contain a suspension provision to deal with cases of serious noncompliance that may be triggered if the provisions on independently verified reports on safeguards and timely resolution of grievances are not met. Partner Jurisdictions should require that all nested projects — if nested projects are used — be independently validated and verified using best practice social and environmental standards, such as the Climate, Community & Biodiversity Standards.